**You can read Rebecca’s original article on 2Alice’s by clicking here. Can’t get to Cornwall for Coffee? Well do not worry. 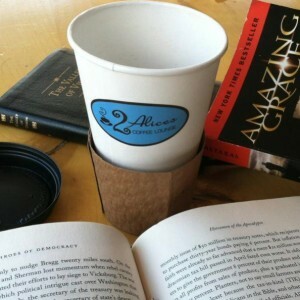 2Alice’s coffee shop is in the process of opening a location on Broadway. Yes, just a few blocks from the Mount! Coffee lovers, unite! Take a trip to their new location, just a few storefronts down from the Ritz Theater, and see what 2Alices has to offer. Do not fret: they still have their fabulous vegan menu with scrumptious selections ranging from mac and cheese and soup to bagels and pastries. This location also displays artwork from local artists for sale and their cozy atmosphere can make the perfect studying environment. The entire project is aiming to bring life back to Newburgh, as well as bring the hollowed-out halls of the empty business buildings back to their former glory. Take part in contributing to the local businesses of Newburgh and go to 2Alices for a cup of coffee and a great experience.